German engineering giant Siemens sees potential for axing up to 20,000 jobs worldwide as part of a major cost-cutting drive, the monthly Manager Magazin reported on Thursday. 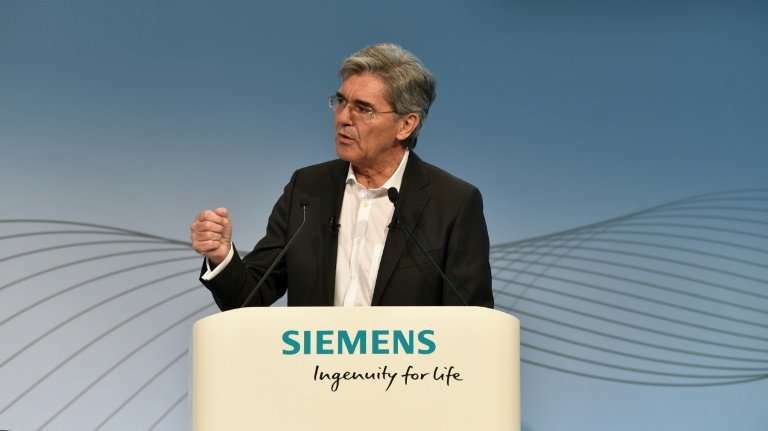 According to the online edition of the magazine, Siemens chief executive Joe Kaeser told an investors' roadshow earlier this month that 20,000 administrative jobs could become superfluous under the group's "Vision 2020+" strategy. The cuts would only affect administration in Siemens' headquarters, not jobs at its production sites, the magazine said. Siemens was not immediately available for comment when contacted by AFP. The group, which makes gas turbines, trains, industrial robots and medical scanners, unveiled the planned revamp at the beginning of August, when it published a 14-percent drop in bottom-line earnings in the second quarter. As part of the overhaul, Siemens plans to reduce the number of industrial units from five to three to make them more independent and better able to respond quickly to market demands. Siemens currently employs a workforce of nearly 380,000 worldwide.